Type 1 diabetes used to be called juvenile-onset diabetes. It is usually caused by an auto-immune reaction where the body’s defence system attacks the cells that produce insulin. The reason this occurs is not fully understood. People with type 1 diabetes produce very little or no insulin. The disease may affect people of any age, but usually develops in children or young adults. People with this form of diabetes need injections of insulin every day in order to control the levels of glucose in their blood. 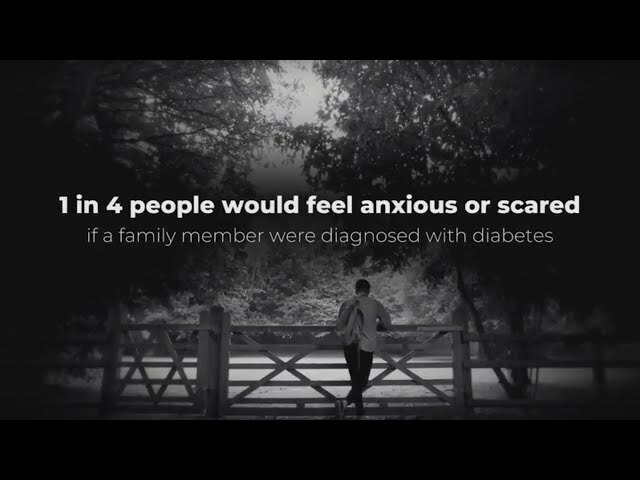 If people with type 1 diabetes do not have access to insulin, they will die. Type 2 diabetes used to be called non-insulin dependent diabetes or adult-onset diabetes, and accounts for at least 90% of all cases of diabetes. It is characterised by insulin resistance and relative insulin deficiency, either or both of which may be present at the time diabetes is diagnosed. The diagnosis of type 2 diabetes can occur at any age. Type 2 diabetes may remain undetected for many years and the diagnosis is often made when a complication appears or a routine blood or urine glucose test is done. It is often, but not always, associated with overweight or obesity, which itself can cause insulin resistance and lead to high blood glucose levels. People with type 2 diabetes can often initially manage their condition through exercise and diet. However, over time most people will require oral drugs and or insulin. Both type 1 and type 2 diabetes are serious. There is no such thing as mild diabetes. Gestational diabetes (GDM) is a form of diabetes consisting of high blood glucose levels during pregnancy. It develops in one in 25 pregnancies worldwide and is associated with complications to both mother and baby. GDM usually disappears after pregnancy but women with GDM and their children are at an increased risk of developing type 2 diabetes later in life. Approximately half of women with a history of GDM go on to develop type 2 diabetes within five to ten years after delivery. Other specific types of diabetes also exist.